Last week I was doing a road walk & snuck up to a doe & 1 fawn nursing 10 yards into the woods. I took a knee & watched this rare occasion unfold. When I stood up, the mother snorted & sprinted away. In the woods where she left was a fawn whose white-speckled coat still had fresh wet patches. Was this fawn just dropped? In any case, I decided to quickly leave. Much to my surprise, the fawn followed me like a little puppy dog. I seemed to have made an “imprint” on her. No, I’m not your mother. I walked her 60 yards into the woods in its mother’s direction & then sprinted away to make sure it didn’t follow. That was a first. 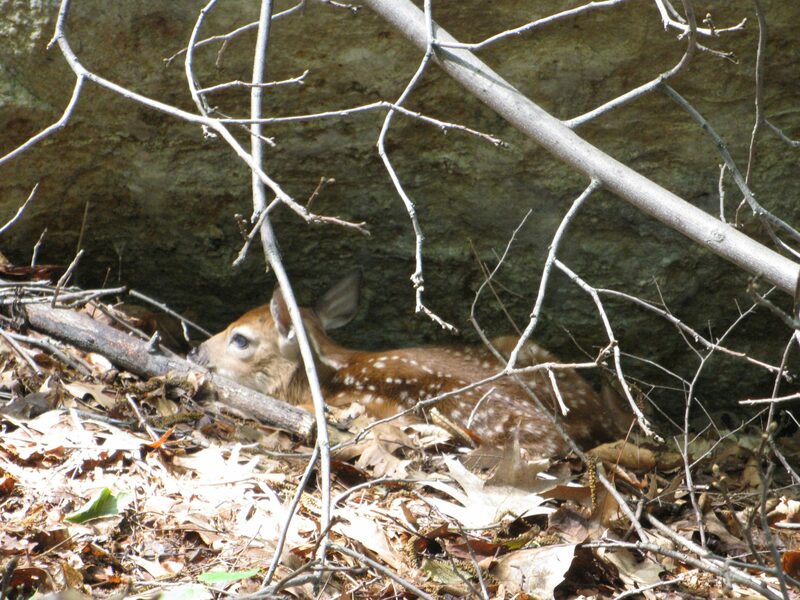 Tags: Catskill Forest Association, deer, fawn Categories: What's New?